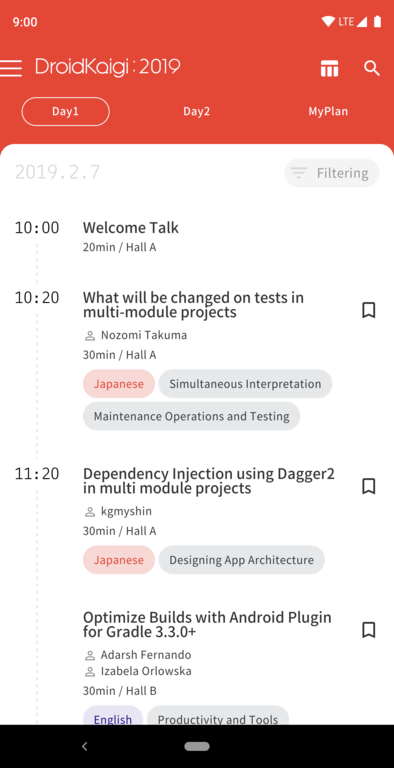 DroidKaigi 2019 is a conference tailored for developers on 7th and 8th February 2019. You can install the prodution app via . NOTE: Google Play Protect will show a warning dialog on some of devices when installing the current apk. The detailed specification of Google Play Protect is not public so we cannot address this matter. Please ignore the dialog for now. If you cannot install this apk without any error message, please disable Google Play Protect from Google Play Store's menus. Sorry for the inconvenience. We would be happy if you ran the command below before sending pull requests to install git hooks. Thanks. Android Studio 3.4 Beta 3 and higher. You can download it from this page. Older versions of the Kotlin plugin may cause build failures. If you still have a trouble after upgrading the plugin, please try using AndroidStudio 3.4 instead. We separate the modules for each feature. 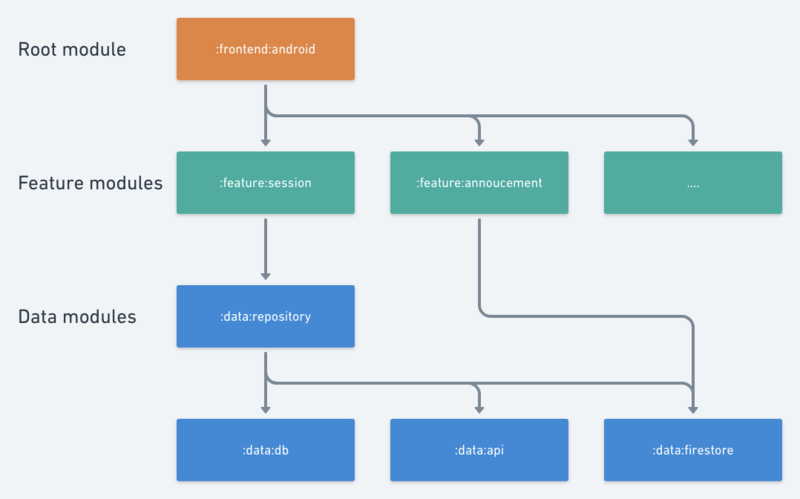 Unidirectional data flow(Flux-based) Architecture with Kotlin Coroutines and AndroidX Libraries(LiveData, ViewModel, Room) DataBinding, Dagger and AssistedInject, Firebase etc. You can check the iOS application. The API and Model parts are shared as Kotlin Multiplatform, written in Kotlin, and the other part is written in Swift. By using Groupie you can simplify the implementation around RecyclerView. We use AssistedInject for creating item. 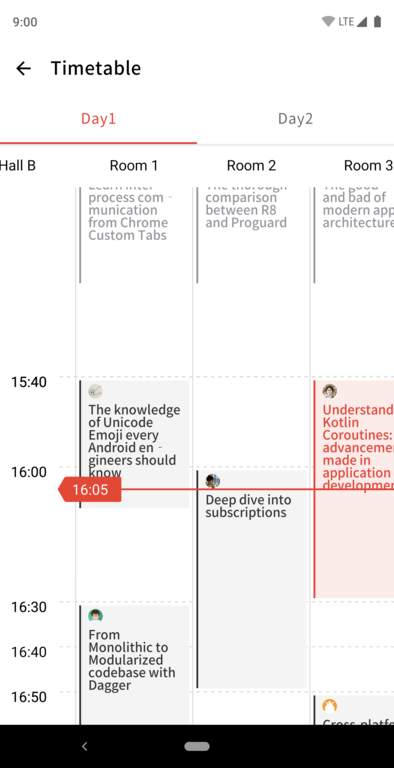 Unidirectional data flow(Flux-based) Architecture with Kotlin Coroutines and AndroidX Libraries(LiveData, ViewModel, Room) DataBinding, dependency injection, Firebase etc. Fragments just call Action Creator's method. Action Creator fetches data from DB / API with Kotlin Coroutines suspend function. And Action Creator dispatches data loaded action and loading state changed actions. Actions are just data holder class. Store subscribe dispatcher's action with Kotlin Coroutines channel and transform it to AndroidX LiveData. This store is a ViewModel. But if the store is used by the whole application(ex: UserStore), you can change the store to a singleton. In the fragment, we can observe Store's LiveData. You can display the UI with LiveData. 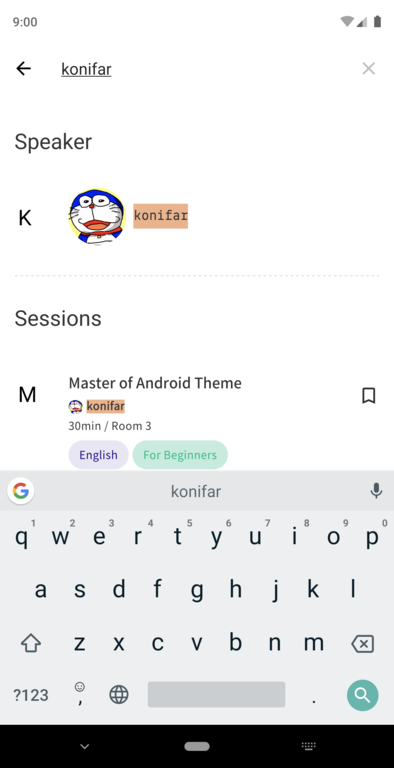 This project uses some modern Android libraries and source codes.